Stop! Put down the hammer. Before taking your basement-finishing project any further, consider that its comfort, efficiency, and longevity all depend on a suitable subfloor. Read on to learn why that's true, and why more and more homeowners are choosing AmDry, a one-of-a-kind solution from industry leader Amvic Building System. This article has been brought to you by Amvic Building System, who provided BobVila.com with a complimentary product sample. In an effort to carve out more living space—without spending a fortune—countless homeowners take on basement finishing projects each year. Some hire a contractor to handle the job from beginning to end. But others opt to do at least some of the work themselves so they can maximize the return on their remodeling dollar. Whether you call in the pros or do it yourself, finishing the basement typically pays off—if you do it right. In fact, experts estimate that when it’s time to sell, homeowners recoup much more than half the amount they’ve put into a basement finishing project. Still, the more of the project you’re able to DIY, the greater the benefit to your bottom line when you’re finally ready to move on. Before you dive into a basement refinishing, though, bear in mind that the project comes with complications you don’t face when remodeling other rooms. Right from the earliest stages of the process, finishing the basement requires remodelers to manage a pair of tricky related issues—energy efficiency and moisture control. Don’t even lift a hammer until you’ve devised a strategy for dealing with these two challenges. Ignore them at your risk! Failure to address them on the front end could threaten the longevity of your project—and the resale value of your home. Almost as bad, after putting in all that money, time, and effort, you could wind up disappointed with the results. Why does finishing the basement involve special considerations? It’s mainly because the space is below grade, which means that the concrete slab floor sits directly atop cool subterranean soil—a situation that causes the slab itself to cool several degrees. That may be a relief in summer, but in winter it forces the HVAC system to work harder, driving up the utility bill. In other words, you could end up with a finished basement you can’t afford to keep comfortable. Another source of problems: When the cool concrete slab meets the comparatively warm indoor air, condensation occurs, leaving the basement vulnerable to mold and mildew, if not wood rot and pest infestations. To ensure your finished basement stays comfortable and dry, make a point to equip your space with the right subfloor—that is, a product specifically engineered to handle the rigors of a basement application. There are multiple options on the market, but if you’re a do-it-yourselfer in search of a solution that’s easy to install, look no further than AmDry from Amvic Building System. Each panel in the AmDry system consists of three components—oriented strand board (OSB), foam insulation, and moisture-resistant film. The combination of materials not only creates a thermal break between the slab and the living space, but also allows for inevitable slab surface moisture to evaporate or drain away. 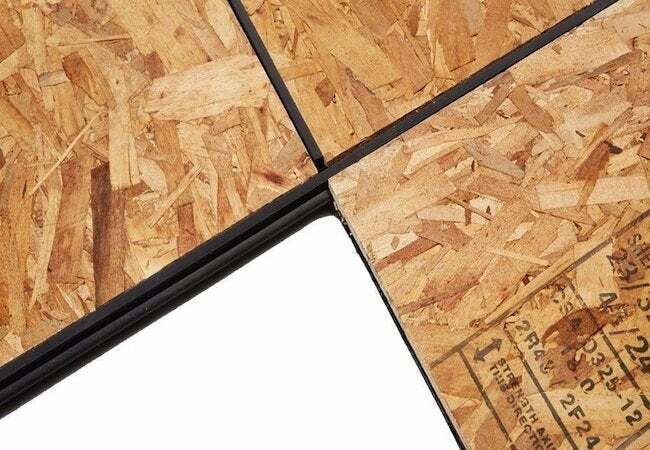 In the AmDry system, the uppermost layer of OSB looks and behaves no differently than a standard subfloor. But in practice, AmDry goes well beyond serving as a level substrate on which to install the finished floor. For one thing, thanks to its insulation layer, AmDry isolates the cool concrete slab from the basement space, making climate control substantially more efficient and cost effective. In fact, with R-values ranging from R-5 to R-11, AmDry offers the highest insulating capacity of any subfloor product available today. By providing incremental energy savings from one day to the next, AmDry can save homeowners substantial sums over the long term. That said, the AmDry wouldn’t do much good if it weren’t impervious to moisture. Even if you’re lucky enough to live in a house whose basement never suffers minor foundation or appliance leaks, the space is still subject to the condensation that naturally forms on cool concrete slabs. That’s why AmDry comes with built-in protection: The underside of its panels features a moisture-, mildew-, and mold-resistant film. Thanks to this film, when moisture builds up beneath the panel, the subfloor doesn’t suffer any damage. As well, the underside of each AmDry panel includes drainage and ventilation channels that let excess moisture drain away or evaporate instead of pooling. AmDry is appealing not only for its best-in-breed effectiveness, but also because it’s DIY-friendly. In fact, partly due to the generous dimensions of its panel, the AmDry system takes 40 percent less time and labor to install than the competing products. Measuring 24 inches wide by 48 inches long, each AmDry panel covers eight square feet of floor space—about twice the standard amount—leaving the installer with half as many joints to complete. 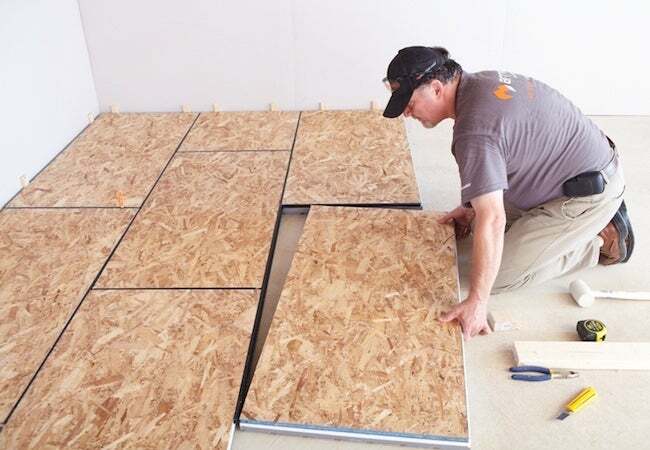 As an added benefit: Larger panels not only make things easier on the installer, but they also make for a better quality installation because the surface integrity of a subfloor system generally improves in reverse correlation to the number of joints in its assembly. When it comes to the ease and speed of the AmDry system, though, nothing matters more than its click-together convenience. Instead of nailing or gluing each panel, you simply join them together by means of flexible plastic connectors. It’s essentially a tongue-and-groove assembly, except here the connector serves as the tongue that fits into the grooves that are already cut along the perimeter of the panels. True tongue-and-groove flooring fails when either the male or female part chips, cracks, or crumbles—or when the two parts squeak against each other. 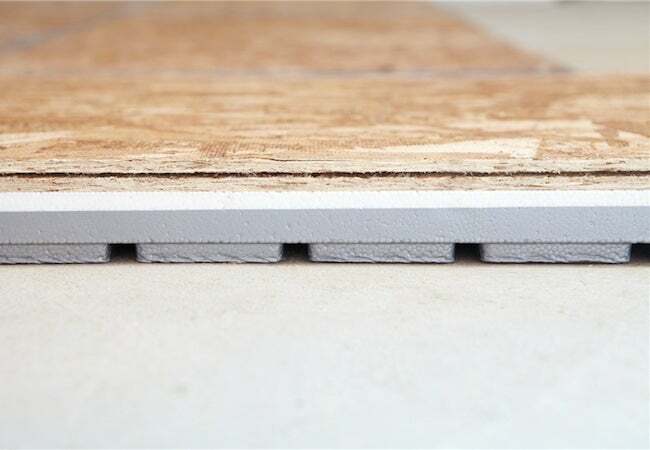 AmDry’s unique connector, however, lets you sidestep those traditional subfloor pitfalls. You don’t have to worry about the finished floor surface bucking or heaving, either, because AmDry connectors act as compression joints. That is, the OSB layer in each panel can expand or contract freely, without upsetting the installation. So, you’re free to cap off your basement finishing project by installing virtually any type of finished floor you like—carpet, hardwood, vinyl plank, ceramic, or stone tile—with confidence. No matter your choice of floor, the insulating, moisture-controlling AmDry system, available online at The Home Depot, works behind the scenes to ensure that your finished basement will be warm, dry, comfortable, and energy efficient, able to stand the test of time and reward you with a solid resale value after you’ve had many, many years to enjoy your finished space. This is a sponsored conversation written by me on behalf of Amvic. The opinions and text are all mine.